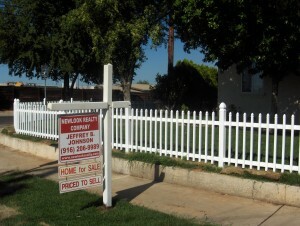 Sell a House Fast In the Sacramento Area or Northern CA. Whatever the situation, whatever the condition of your house — we’re here to help. 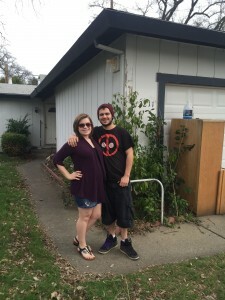 At NewLook Realty Company, we are a professional house-buying firm and we buy Sacramento houses from property owners who don’t want or need a house anymore, or can’t afford to keep it. We buy in any condition, in any timeframe that suits you, we pay cash, and there are no fees or commissions. Want to find out what we can pay to buy YOUR Sacramento house quickly? Keep reading… we want to make you an all-cash offer on your house and close fast. If you’ve tried selling through an agent and they couldn’t find a buyer, you might be worried that you’ll never sell the house. At NewLook Realty Company, we work differently. We buy houses (we don’t list them) and we have the funds available to buy your house right away. What this means for you is: there’s no up-front expenses, no commissions to pay, no waiting around… we buy in any condition and we can even close within 7 days. When you contact us and submit the short property information form (below), we’ll give you a fair all-cash offer on your house within 24 hours… and the best part is: we can close whenever YOU choose to close – it’s entirely up to you. At NewLook Realty Company, we specialize in helping homeowners just like you to get out from the property that’s causing you stress or costing you money. We close fast and pay a fair price for your house. Want to be finished with the hassle and stress of owing that property? Sell your Sacramento house to us, put cash in your pocket, and walk away from the headaches, hassles, and problems. You don’t have to wait for an agent to sell your house — just sell your Sacramento house fast to us. Fill out the form above or call our office today at 916-943-4161. Any situation; any condition; any time-line… We buy houses in Sacramento and surrounding areas and pay a fair cash price, fast. Sell My House Fast Sacramento!